The Judge Placed me on a "Fixed Visitation" Schedule, What is that? When you go through a divorce or separation, you and your former partner have the option of either making a mutually convenient (or inconvenient) visitation schedule together (it must be approved by the court before it can go into effect), or leaving the arrangements to a judge who more than likely won’t take either of your wishes into consideration. 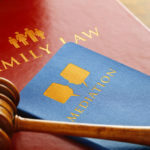 In either situation, if there is hostility between the two parents, the court will probably enact a fixed visitation schedule, or a schedule that neither parent can alter without the approval of the court. 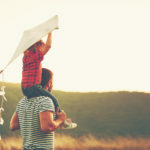 In such circumstances, the court doesn’t have the confidence in either parent to keep to the schedule which is in the best interests of the child, who needs the stability in the otherwise turbulent time. If either party breaks the schedule they will be held liable by the court, which could result in their being held in contempt of the court, or facing fines or in rare cases even jail time. In fixed visitation schedules, the court will often specify the time, place and day of the week, to ensure that the child can count on the weekly consistency of the arrangement, completely taking it out of the hands of the parents. Once this arrangement has been made, it cannot be altered without court approval. For example, if, after a few years, the former couple shows noticeable signs of improved cooperation, the judge may permit them to make small changes to the schedule, and in some cases may permit them to come up with a schedule on their own. If you are in a fixed visitation schedule, and have good reason to be unhappy with it, you may petition the court to change it to better suit your needs as well as your child’s. However, this is not always successful. However, the schedule is subject to change as the needs of the child change with age. Obviously, a fixed visitation schedule is not ideal for most parents who want a visitation schedule that will correspond with their own scheduling needs. If it is possible to civilly construct a visitation schedule together, without the intrusion of the courts, it should be done, and will serve the best interests of the child no less if the schedule is adequately followed. However, if you do civilly make an arrangement that is approved by the courts, but later find that one parent or the other has issues with sticking to your agreed visitation schedule, you may still petition the courts to change your schedule, or even give you a fixed visitation schedule. If you have further questions about your fixed visitation schedule, how to change it, or want to discuss further points in creating a visitation schedule, you should speak with an experienced family law attorney who can guide you through the process.